In many pension scam cases, we find victims telling us that they were not informed about the hidden charges that were applied to their fund. This is why it is essential to warn the public about the hidden dangers of charges that ruin your pension investments. These charges often take a huge chunk out of the fund before and during its new investments. Scammers lie about these charges, and victims never find out about them until it is too late. The investments the scammers use are often high-risk and totally unsuitable for a pension fund. Pensions should be invested in diverse, low-to-medium risk assets which are prudent and liquid. And pensions don’t need an insurance wrapper at all, especially since the wrapper pays a whopping 8% commission to the scammers. 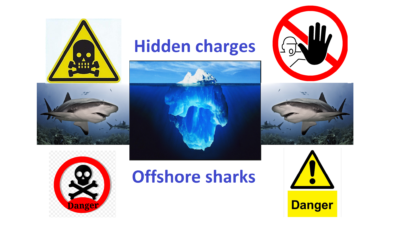 And, sadly, much of the offshore advisory industry relies entirely on commissions – so the unethical advisers always chose the investments that pay the highest commissions. Unfortunately for the victims, the sweet-talking “advisers” are very good at concealing these hidden charges (commissions). They lure victims away from the small print and flash the promise of high – often “guaranteed” – returns. Scammers – entirely reliant on commissions – are very good at blinding their victims from the risks they are inadvertently taking by putting their hard-earned cash into investments that pay the highest commissions. These scammers are pure salesmen, rather than proper financial advisers. Many of them are not QUALIFIED to give financial advice and they are only out for their “cut” of their victims’ hard-earned life savings. The hidden charges (commissions), paid unknowingly by the victims, buy the scammers their lavish lifestyle. Once the victims have signed on the dotted line, the scammers have no interest in what happens to the remainder of the funds after the commissions have been taken out. So how does this illicit commission work? And how do the hidden charges damage a victim’s fund? Let us assume a victim has a fund of £100,000. And he is transferring from a UK pension to an offshore QROPS. First, a transfer specialist will charge a fee for the transfer advice. Then the offshore adviser will charge a setup fee. Then the QROPS provider will charge a setup fee. 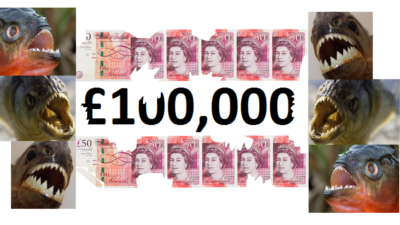 So, now we don’t have £100,000 any more – we probably only have £95,000 if we are lucky. Then the scammer will put the victim into an insurance bond – such as OMI or RL360. The scammer will earn 8% on this (i.e. £8,000). But the victim won’t see this, because the insurance bond provider (OMI, RL360 etc) will claw this back over a ten-year period. The scammers at OMI or RL360 will always keep a fat chunk of the fund in cash to pay their own fees – usually via hidden charges. But let’s say they allow £80,000 of the remaining £95,000 to be invested, and let’s say the scammer at the advisory firm invests £40,000 in structured notes and £40,000 in “dirty” funds (i.e. the funds that pay the biggest commissions). This could be a further 10% in commission – so the victim will think he is getting £80,000 worth of investment, but in reality he is only getting £72,000 worth of investment. He simply can’t see the £8,000 in commissions because they are carefully hidden. Eventually, the victim will realise that his fund is only shrinking, and that it will never have a chance to grow. Growth will be mathematically impossible, because of the constant, hidden fees/commissions. Some victims realise how they have been shafted quite quickly and are able to take positive action to move away from the rogue adviser. But for many, it is too late and too much damage has been done. Their funds will never have a chance to recover to anywhere near where they started. They would have been much better off sticking their retirement savings under the mattress. Because, of course, the “advisers” don’t care – they are long gone in their fancy sports cars and designer suits, sipping champagne at the local exclusive golf club. In the UK we have regulations in place that prevent financial advisers from taking commissions. This works fine for the ethical, regulated sector of the financial advisory profession. But the unregulated offshore spivs who masquerade as “advisers” – and are, in reality, nothing more than silver-tonged salesmen – still do untold damage to the reputation of the industry by promoting unsuitable, high-risk, illiquid investments to low-risk pension savers (including those resident in the UK). Many of the scammers are keen to get their UK-based victims’ pensions offshore to escape the protection of the British regulations. This, of course, prevents victims from having access to the FSCS and the ombudsmen. A prime example of this is the dastardly duo: Phillip Nunn and Patrick McCreesh. This pair of scammers received £ millions promoting the Capita Oak, Thurlstone Loans, Henley Retirement Benefits Scheme and Berkeley Burke SIPPS scams – leaving 1,200 victims worried sick about facing poverty in retirement. The Nunn/McCreesh double act has gone on to promote their own toxic investment fund: the Blackmore Global Fund. This is a UCIS fund (Unregulated Collective Investment Scheme), which is illegal to promote to UK residents. Yet Phillip Nunn and Patrick McCreesh sold these investments with the help of David Vilka of Square Mile Financial Services. (David Vilka is NOT a qualified financial adviser and Square Mile is not regulated to provide investment advice). Nobody knows where the Blackmore Global victims’ funds have gone – as Nunn and McCreesh will not have the fund audited (the last thing they want is anyone knowing what they have invested their victims’ life savings in). But one thing we can guarantee is that the scammers Nunn, McCreesh and Vilka made a pocket full of cash through hidden charges. In all leading expat jurisdictions – most notably Spain and Dubai – the scammers are beavering away grinding the commission machines. They take their hidden charges with no remorse. In the time it took the gentle reader to read this blog, at least one victim will have lost their life savings. And one scammer will have earned 8% commission out of selling a useless, pointless, expensive insurance bond – such as OMI, Generali or RL360 – and up to 10% (or even more) on the underlying investments. On top of this, the scammer – masquerading as an “adviser” – will also charge a 1% “advisory” fee. And probably a setup fee. And then there are the QROPS charges. Henry Tapper wrote an excellent blog on this very subject – he called it FRACTIONAL SCAMMING. I do hope that all offshore advisory firms will read this carefully. The excuse that they didn’t really understand the impact of hidden charges and commissions – and were only copying what they thought the industry was already doing successfully – is simply not going to wash any more. The damage caused by this toxic practice has been widely published and exposed. The only way forward is to go fee-based. And to outlaw commissions and hidden charges altogether. The scammers won’t do it – but decent, ethical firms will. 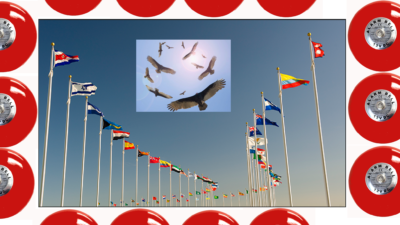 The hard part will be to warn expats against vultures. Ethical firms will help with this initiative. Obviously, the scammers won’t. I guess that there are just so many scammers out there all taking their part of our hard earned pension funds. “Money for Nothing” as the Dire Straits song goes. OMI , Generali and RL360 get a mention in your item. I would like to add SEB (formerly Irish Life ) to the list. Not only does SEB take a big slice of your funds to set up an “insurance wrapper ” but then refuses to communicate directly saying that the life insured is a 3rd party and that it is the trustee that is the policy owner. What a bunch of charlatans and cowards. A disgrace to the valiant Nordic races amongst whom SEB’s higher echelon hide and a disgrace to the human race. Unfortunately, the above is not entirely accurate in many respects and doesn’t tell the whole story.